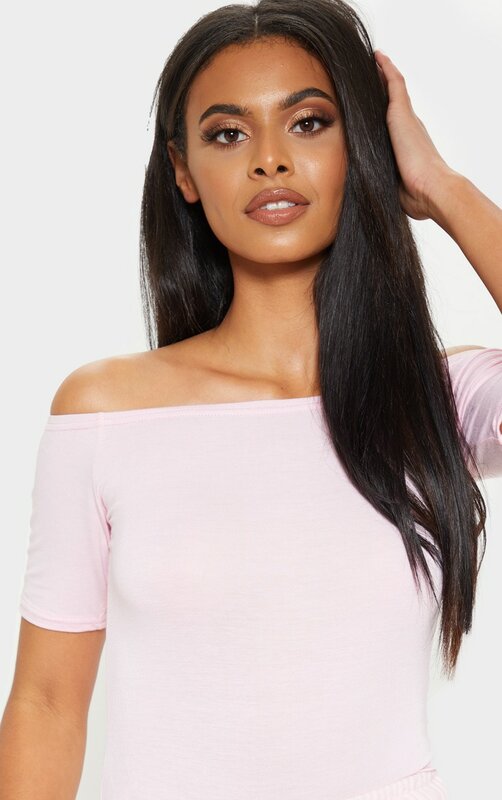 Add some pink hues to your wardrobe with this totally cute bodysuit. Featuring a baby pink fabric with short sleeves, a flattering bardot neckline and a thong back, we are obsessed. Style with high waisted jeans and heeled boots for a look we're loving.